James has a background in agriculture and rural and community development and it is his energy and vision which lies behind the establishment of Property Marking Ireland – an energy which has been confirmed by his being one of the finalists in this year’s Social Entrepreneur Awards. 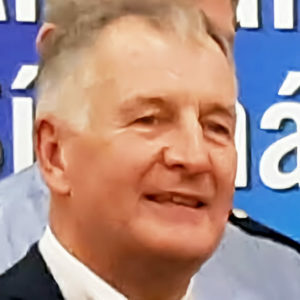 James has a degree in Rural Development from Tipperary Institute and is passionately committed to the role of community and voluntary organisations in community-based action. He worked with Muintir na Tíre between 2010 and 2016 in the roles of Regional Development Officer, Acting National Director of Services and National Co-Ordinator Community Development. He has also worked as a Community Development Officer with local communities. For the past number of years James has been working with the Gardaí, Local Authorities, Joint Policing Committees and communities in piloting the Property Marking Program in Cavan-Monaghan and Cork. These pilots have proved so successful that James is now committed to rolling them out nationwide on a collaborative basis.